In 2014, Pacific Trellis Fruit grew to include the Dulcinea Farms division. 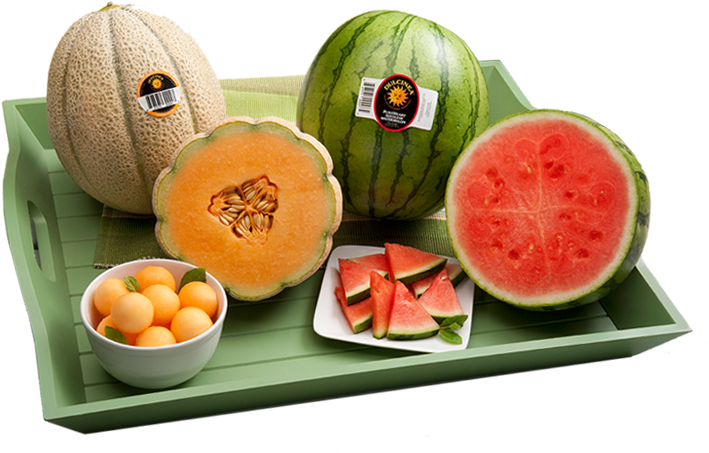 With this expansion we have added mini- and full-size seedless watermelons as well as cantaloupes to our lineup. Most seed companies tailor their seeds to the needs and specifications of growers. The emphasis is on high yield, disease and insect resistance, long shelf-life, and perfect appearance. What’s missing from this list? The thing that matters most: Taste! That’s where Dulcinea Farms comes in. We identify consumer needs and wants, and then we develop or source the fruits to meet them. You’ll notice the Dulcinea Difference right away – taste, size, shape, and color that provide the ultimate eating experience. Here’s another Dulcinea Difference: We’ve replaced the typical produce supply chain with a fully-integrated value chain. We grow, market, and sell our consumer-directed products nationwide. Our growers are committed to providing on-time delivery of the best fruit at the best price. At Dulcinea Farms, we have our own version of perfection. We strive to bring the ultimate eating experience to produce lovers throughout the country. We invite you to taste the Dulcinea Difference.